Please mark your calendars! On Wednesday, May 10, we have an amazing opportunity to double our philanthropic impact through GiveBIG, the Seattle Foundation’s one-day online giving event. If you’re thinking about making a gift to the Bo M. Karlsson Foundation, this is a fantastic time to do it -- the Seattle Foundation will match your donation!!! Now in its seventh year, GiveBIG is the day when the Greater Seattle region comes together to support local nonprofits that are working to make our world a stronger, kinder, more vibrant place for all. Last year, GiveBIG raised over $16 million in one day to support nonprofits. Now that’s an impact! This is such a wonderful way to collectively invest in the causes that inspire us. Imagine the impact we can make if everyone participates! We hope you will consider making a GiveBIG gift to support your favorite local nonprofits -- including BMKF scholars. A gift, of any size, will make a bigger impact with GiveBIG! Thank you for supporting our brilliant BMKF scholars. 1. Make a GiveBIG gift to BMKF on Wednesday, May 10! From midnight to midnight (Pacific Time) on May 10 any donations to BMKF will be matched by the Seattle Foundation. Make a gift at GiveBIGSeattle.org. 2. Make your gift even sooner! Worried you might forget? You can make an online donation starting April 27. It’s easy! Create an account at GiveBIGSeattle.org, and make a gift. You’ll receive an email confirmation and your donation will be processed on May 10. 3. Help us set up matching funds. Does your employer have a matching gift program? If yes, please contact BMKF board vice president, Mari Hirabayashi, at mari.hirabayashi@gmail.com to set up the match before April 25. 4. Spread the word. Share our message with your family, friends, and colleagues. 5. Follow us online. 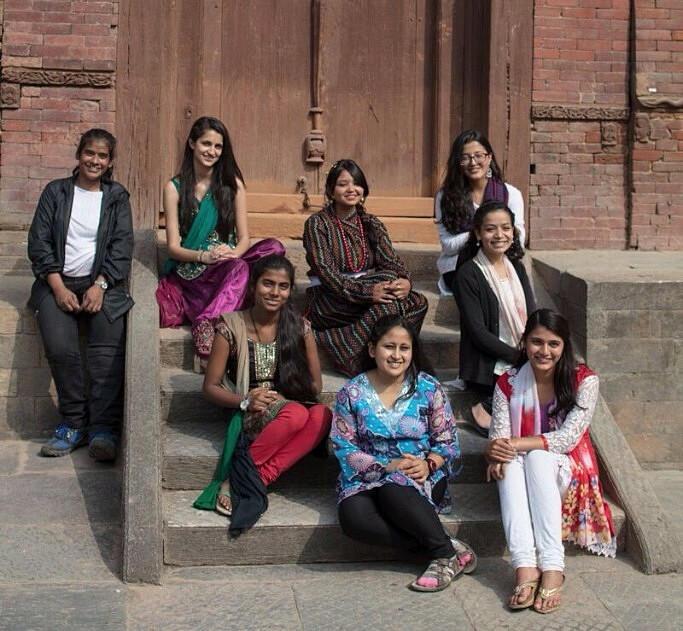 Check the BMKF Facebook page for updates about BMKF scholars, women’s education and empowerment, and Nepal. BMKF scholars are made of tough stuff. All of our scholarship recipients have faced numerous hardships on their path to education, but several also deal with physical disabilities and, in some cases, chronic pain. We recently asked a few scholars if they would give us an update on how their disabilities impact their lives. They bravely agreed to let us share some of their private challenges. We invite you to take heart from their optimism, perseverance, and determination to overcome difficulties, attain their goals, and make the world a better place. 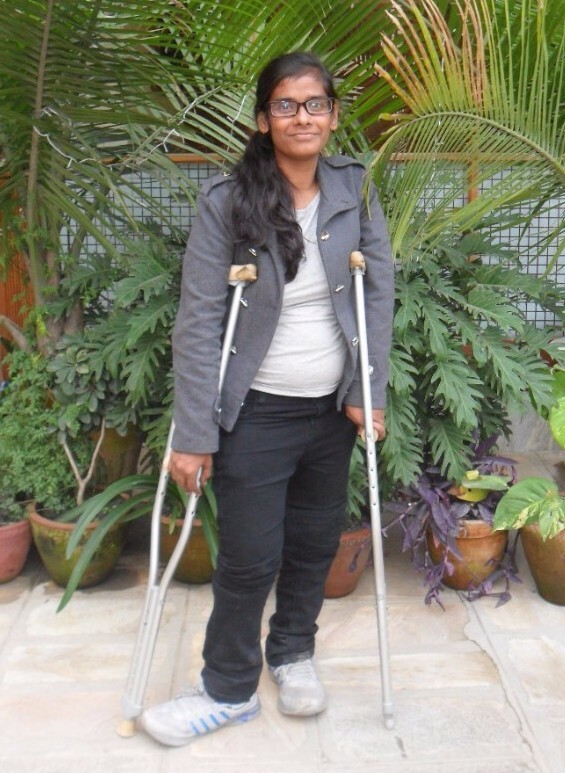 Manisha suffered from polio as a child and must use crutches. 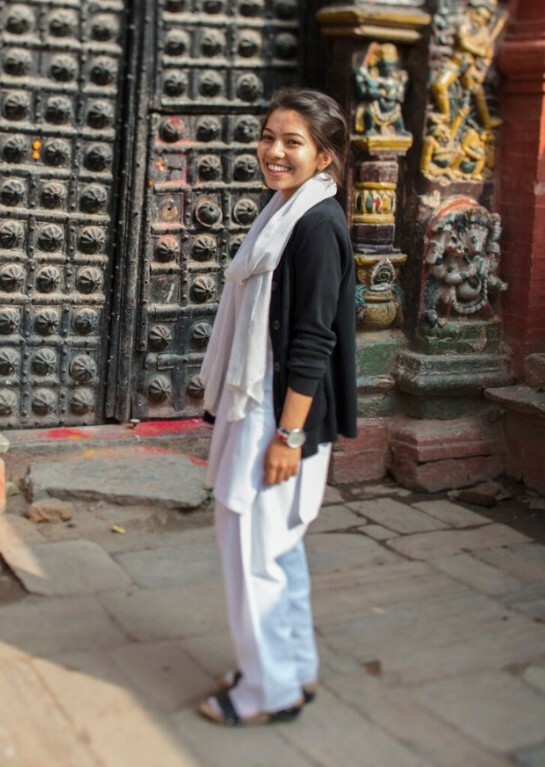 Last year, BMKF moved her to a hostel closer to her college, so her commute is easier. Unfortunately, she cannot easily use the squat toilets at her college. Squatting is too difficult and uncomfortable for her condition. 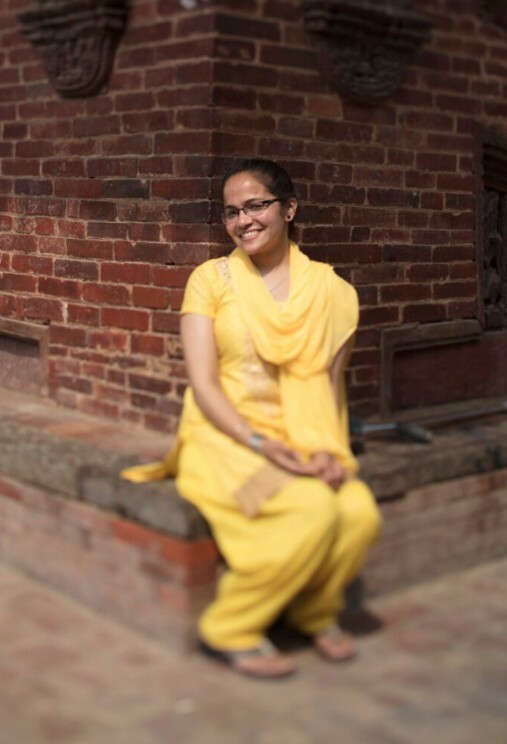 As a teenager, Yami became paralyzed after an operation for a spinal tumor. She has to use a wheelchair. Yami currently works as an assistant accountant at a hotel. In order to live nearby, she pays more for a ground floor rented room and still has to commute along a graveled road to get to her work. 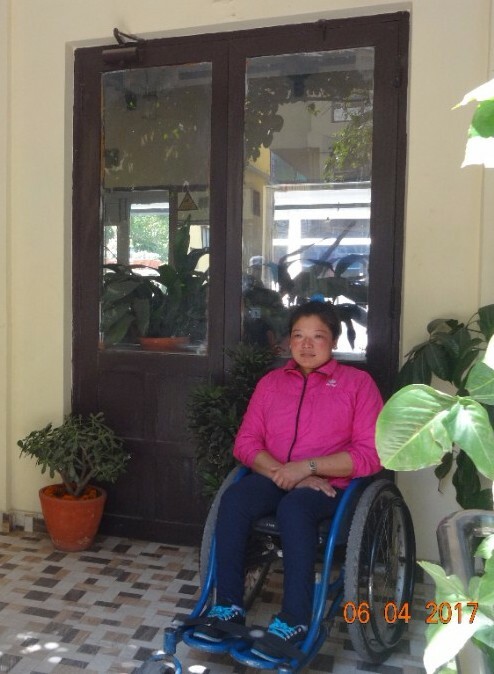 She often faces challenge with public buses which do not stop when they see her in her wheelchair. Her dream is to be able to afford a four wheeled scooter. 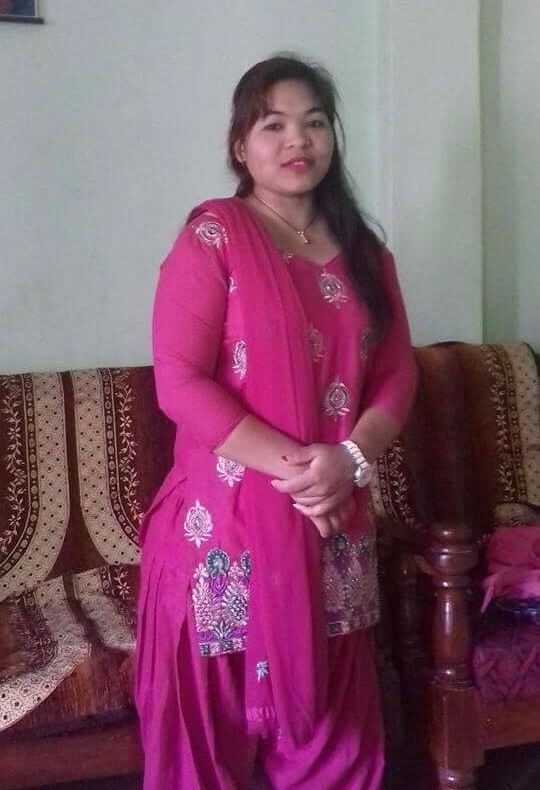 Rama, our Nepal office manager, suffers from a severe long-term infection in her leg. She goes for regular checkups at Nepal Orthopedic Hospital. Rama says the pain has reduced over the past two years, with antibiotics. But her condition is challenging. Rama says she may be eligible for a hip replacement when she is 30, but the operation would be costly, with no guarantee of success. Shanta uses a crutch. She says it takes about 25 minutes to walk from her hostel to the college, but the exercise is good for her legs. 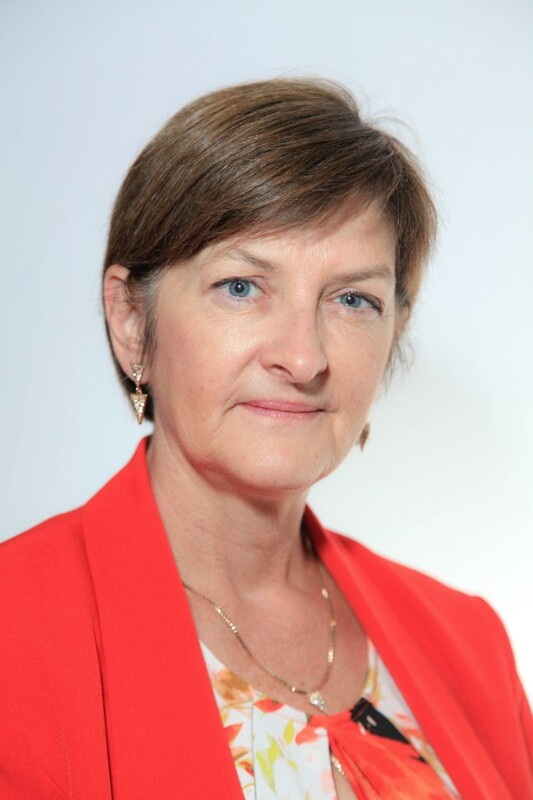 BMKF welcomes Shannan Chapman to our board of directors. She brings a wealth of technology and leadership experience, enthusiasm, and knowledge. Shannan is passionate about education and giving back to those in need. Her past volunteerism includes immigration and sanctuary work, and women's advocacy. Shannan will serve as BMKF’s Fund Development Director and we are already working on new avenues of fundraising. Hooray for Shannan! Would you like to help the Bo M. Karlsson Foundation? We're working to grow our board of directors -- and we want you! The BMKF board meets regularly each month, by phone or in person. Together we’re working to support our scholarship recipients of Nepal, and also plan sustainable, thoughtful strategies for the future. We're looking for people with fundraising, event planning, and social media experience, as well as other skills and talents, plus a passion for women’s empowerment! Please contact Sonnia at sjk73@msn.com for information, and help spread the word. Copyright © 2017 Bo M. Karlsson Foundation, All rights reserved.